Which Parish to live in? Jersey has twelve Parishes, each Parish is divided into Vingtaines (or Cueillettes in St Quen). The capital of the island being the Parish of St Helier, which includes the main shopping and commerce centre of the island. A Parish is a corporate body separate from its Parishioners. The Parish owns all public by-roads within its boundaries. The by-roads are administered by the Road committee as agent of the Parish. Individual electors of the Parish have no rights of ownership as such in Parish property. The governmental body of the Parish is the Parish Assembly, traditionally known as the “Assembly of Principals and Officers of the Parish. More information can be found regarding the Parish Assembly here. Bordered only by St Peters, St Brelade is one of the most beautiful parishes with gorgeous beaches including St Brelade’s Bay (where Hotel L’Horizon and St Brelade’s Bay Hotel are located), Portelet and Ouaisne (pronounced Way-Nay). The parish is quite large and has two main centres – St Aubins Village and Quennevais/Red Houses. St Aubins is a village built on the harbour and is home to the Jersey Royal Yacht Club plus several restaurants offering different cuisines. The Parish Hall is also situated in St Aubin’s village. A walkway (the Railway Walk) for pedestrians, dog walkers and cyclists/runners links St Aubin’s village to Corbiere where the lighthouse stands. Quennevais/Red Houses is further inland and has lots of amenities including a selection of shops, along with a Swimming Pool and Leisure Centre, Quennevais Secondary School and Library, La Moye Golf Course. There are two primary schools with Nursery facilities called La Moye and Mont Nicolle. For more information on living in the Parish of St Brelade click here. St Clements is the smallest parish in Jersey and borders St Saviour and Grouville. The parish runs along the South East coast and has some of the more popular beaches in the East, namely Green Island and La Rocque. There are two primary schools, which have nurseries St Clements and Samares . The secondary school, Le Rocquier, is also situated in St Clements. There are a number of sporting facilities in the parish including FB Fields (athletics track and facilities, football/cricket pitches/netball courts and table tennis club), St Clement’s Golf Club plus tennis courts and Jersey Squash Club. Samares Manor and Gardens are situated on the main, inner road heading East. For information on living in the Parish of St Clements click here. Grouville is one of the most Easterly parishes and is commonly known as Gorey which is the main village. The parish is home to the Royal Jersey Golf Course and is overlooked by the impressive Mont Orgueil (or Gorey Castle). Grouville Primary School (has a nursery within school) is located opposite the Golf Course and places are highly sought after. There are a number of shops in the village of Gorey including a Butcher, a post office, Entwhistles fish and chip shop which is also a locals favourite plus a Chinese Takeaway, dry cleaners, Opticians, gift shops and a good greengrocer. Grouville also has a lovely beach and along the harbour there is a good selection of places to eat. For information on living in the Parish of Grouville click here. St Helier Town is renown in Jersey for being the heart of the finance industry and being the capital of Jersey, St Helier is the most urban of the parishes. Highlights in St Helier are the Jersey Museums including Elizabeth Castle, Fort Regent Sports Centre, Town Library, Cineworld, Aquasplash Swimming Complex, lots of restaurants, nightclubs, bars, coffee shops, main High Street shops along with two Markets. The Jersey General Hospital, Police Headquarters and Fire Brigade Headquarters are all located at the northern end of town. There are pockets of green areas dotted around St Helier town with People’s Park, Millennium Town Park, The Parade Park and Howard Davis Park. For information on living in the Parish of St Helier click here. Situated towards the North of the island it offers some of the best views in Jersey from its cliffs. St John’s is a rural parish with a small village consisting of a café, pharmacy, butchers, pub, doctors, Church and States Primary School. There is also an M&S Simply Food with petrol forecourt plus a busy Community Centre offering lots of activities. The beautiful bay of Bonne Nuit is in St John and is well worth a visit to watch the fishing boats, relax on the beach and once a year enjoy the Sark to Jersey rowing race which finishes in the harbour. For information on living in the Parish of St John click here. St Lawrence is a large parish situated in the centre of Jersey. Some of the attractions of the parish include Coronation Park (Millbrook Park), St Matthews Glass Church, Hamptonne Country Life Museum and Jersey War Tunnels. The village is based on the main road through the parish where the school (St Lawrence School), parish hall and Church are located on one side of the road and a number of shops and a pub are located on the other side of the road. David Hicks Antiques (including Laura Ashley) is on the St Lawrence main road too. Bel Royal School is also in the parish of St Lawrence although situated nearer the Western border. For information on living in the Parish of St Lawrence click here. On the East coast, St Martins is a large, wide spread parish with a lovely coast line; it claims the beautiful Rozel Bay and is home to many potato farmers. St Catherine’s Breakwater is popular with fishermen and sailors. The village of Maufant is on the main road heading towards St Martins Church and consists of a farm shop, Spar with a post office and hairdressers. Ransoms Garden centre is located in St Martins, offering a large selection of garden items, a gift shop as well as a restaurant which is famous for its deserts and bakery section. St Martin’s Primary School and nursery is located next door to the Parish Hall and currently a new school is being build nearby. For further information on living in the Parish of St Martin click here. North West of the island is St Marys, a large, quiet parish with a small population. St Mary’s Primary School has 1 class per year but no nursery. 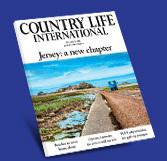 The attractions in St Mary’s include La Mare Vineyards – a working distillery producing cider, wine, Jersey black butter, chocolates and lots more Genuine Jersey produce. Greve de Lecq is one of the most popular beaches because of the convenience of a big car park, a big restaurant and shop plus Colleen’s Café and Moulin de Lecq (an old Mill now turned into a bar/restaurant). Devil’s Hole is also a regular stop for tourists and families are now stopping at the Devil’s Hole Priory Inn which is a new indoor play arena for children. St Mary’s is also home to the Jersey Pistol Club where you can visit any time to try out pistol shooting. For further information on living in St Mary click here. One of the most barren looking parishes, St Ouen (pronounced “one”) is the most North Westerly parish and has the wonderful Five Mile Beach which is THE place for surfers! There are popular stops along the Five Mile Road (running parallel to the beach) at La Braye, Water Splash, Big Verns, The Line Up, El Tico – all lovely café/restaurants with parking and access to the beach. The road is also scattered with ice cream vans in Summer and is a general hive of activity. Les Mielles 18 hole golf course and driving range is situated on the Five Mile Road. Plemont is a bay on the East side of the Parish, bordering St Mary’s, which is a beautiful place for a fun day at the beach. St Ouen’s village is situated opposite the parish hall and consists of doctors, a pharmacy, Food Hall supermarket, computer repair shop and hairdresser. The large and well known Hospice Shop is situated in St Ouen’s and is always busy when open Family attractions include Judith Quérée’s Garden, Les Landes Horse Racing Course plus Jersey Military Museum and Jersey Pearl. For further information on living in St Ouen click here. Situated on the West coast, St Peters is a large parish, a lot of which is occupied by the Airport. The village consists of a large Co-op store and post office, the largest Iceland store in Jersey, hairdresser, shoe shop, bookmakers and Classic Herd Farm shop. There is a Parish primary school and nursery plus St George’s Preparatory School. Other places of interest include St Peter’s Garden Centre opposite Jackson’s Car Showrooms, Les Ormes Complex which includes a 9 hole Golf Course, indoor tennis courts, indoor 5-a-side football courts, gym and indoor pool plus Creepy Valley (aerial trekking course). Another family attraction is the aMaizin Adventure Park which is open from April to September and offers go-karting, crazy golf, water wars, various climbing activities and much more. Wheatlands hosts a nine hole parkland golf course and a gastropub. For further information on living in St Peter click here. St Saviour is an inland parish, bordered by St Helier, St Clement, Grouville, St Martin and Trinity. The parish is well populated and has a number of schools. The Parish main primary school is St Saviour, plus there is Plat Douet, St Luke’s. There are also a number of fee paying schools including De La Salle for boys (primary and secondary), FCJ, and Jersey College for Girls Primary school as well as St Michael’s Preparatory School. The States secondary school, Grainville, is situated nearby plus Highlands College and Hautlieu secondary school. The Queen’s representative in Jersey is the Lieutenant Governor, Sir John McColl, who lives in St Saviour at Government House which is near to the Parish Church and Parish Hall. St Saviour’s does not have a village as such but Five Oaks is an area with a petrol station and a large Checkers Express alongside HSBC, a Chinese takeaway, Five Oaks Bar/Restaurant and Norman’s Building Merchants. The Jersey Evening Post (JEP) has its headquarters on the main road between Five Oaks and St Martin. For further information on living in St Saviour click here. The final parish is Trinity, a large parish which is mainly rural. It has the highest point in Jersey, Les Platons, which is well used by mountain bikers and motorbike trials. The famous Durrell Wildlife Park is in Trinity along with the Royal Jersey Agricultural and Horticultural Society headquarters where the music festival of Jersey Live is held on the first weekend in September every year. Other attractions include, The Pallot Steam, Motor & General Museum and the Eric Young Orchid Foundation which exhibits one of the finest collections of orchids in all the world. The beautiful beach/harbour at Bouley Bay is well known by scuba divers and fishermen. Bouley Bay is also connected to the cliff paths – head West to Bonne Nuit or head East to Rozel. Either route is breathtaking! There is a Parish primary school in Trinity which is in the catchment area for Grainville secondary school. The village contains the Trinity Arms plus a small greengrocer. The Waitrose store at Grand Vaux is the nearest large supermarket. For further information on living in Trinity please click here. Who Can Live in Jersey?